14 Hotel Waterpark Resorts Coming in 2015! The big news is that two major hotel waterpark resorts, Kalahari Waterpark Resort and Camelback Mountain Resort, have opened in the Pocono Mountains, giving new life to the familiar destination. Hotel developers and waterpark lovers alike are watching for the excitement to unfold this year — as brand names, like Lego, Nashville, Dollywood, Schlitterbahn, Kalahari, Courtyard and Norwegian Cruise Lines open new properties and add to existing ones. New hotel waterpark construction is upward bound. Twenty-seven hotel waterpark resorts are estimated to open in 2016. The waterpark industry continues to grow and thrive. 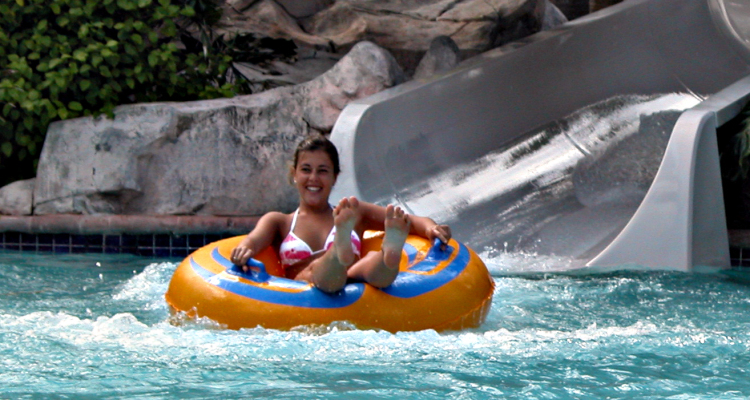 Waterparks have proven themselves as fun, safe, and much desired vacation destinations for families with children. In an effort to select a vacation with children’s interests in mind, more families look to waterpark resorts to provide a true family vacation experience that has something for everyone to enjoy. Developers and waterpark-loving families alike are watching for the excitement to unfold this year — as brand names, like Lego, Nashville, Dollywood, Kalahari, Norwegian Cruise Lines and Genting open new properties and add to existing ones. January 6, 2015 — Nineteen (19) hotel waterpark resort projects opened in the USA during 2014, a 7.5% increase over last year. This compares with 25 in 2013, 20 in 2012 and the record high of 40 in 2007. Twelve (12) projects were brand names such as Lego, Great Wolf, Royal Caribbean, Ramada and Four Seasons and 7 projects were independent owner projects. Seven (7) projects were all new openings, and 12 were additions or conversions of existing properties. The amount of indoor and outdoor waterpark square footage will grow at a faster rate in 2014 than in any year since the Great Recession. Twelve indoor waterpark resorts or standalone indoor waterparks will be opened or expanded in 2014 compared to 9 in 2013. The projected 370,000 new indoor square feet in 2014 dwarfs the 68,000 indoor square feet added in 2013. Eight private outdoor waterparks are projected to open in 2014 compared to 5 in 2013. The dam has broken and new places for waterplay are rising up everywhere. In the first decades of development, waterplay was limited to waterparks of three types: publicly owned aquatic centers, privately owned waterparks serving local markets, and large themed waterparks in major tourism destinations. The original premise of the waterpark resort hotel was to sell access to a great family amenity through high hotel rates. Today, that idea is adapting in ways we couldn’t have expected when it all began. It’s already transformed incrementally. For example, with more revenues from spas, food and beverage, and upgraded rooms, the waterpark is not necessarily the profit leader anymore.